Celebrating St. Patrick's Day is the perfect excuse to throw an Irish-themed party full of traditional foods and drinks. Chef Matt Murphy shows "Today" show's Al Roker how to whip up an easy meal of corned beef and cabbage. He also suggests serving a classic Irish dessert, Gur cake, which is a tasty, fig-based pastry. A hearty stew is another great choice for a dinner party. Chef Conrad Gallagher shows Hoda Kotb and Jenna Bush Hager how to prepare a lamb variation that combines authentic taste with modern flavors, like butternut squash and pearl onions. Gallagher says it goes perfectly with a flavorful Irish stout bread. 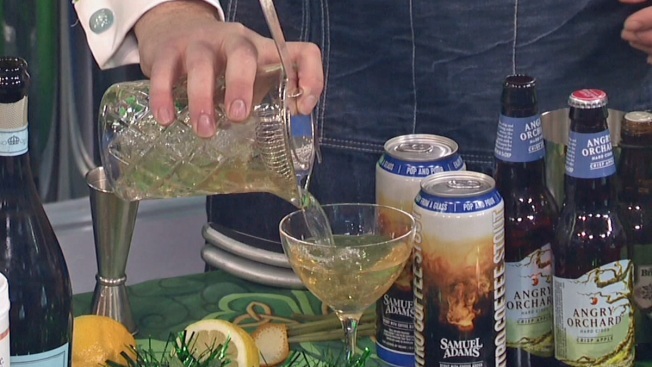 Martha Stewart suggests switching out the typical celebratory green beer or Guinness for this scotch and whiskey-based Irish cocktail. Combining the liquors with lemon and bitters, Stewart gives you a simple Celtic mix cocktail that's full of flavors. The more dessert the better! Stewart shows how to make a simple yet authentic recipe for buttery Irish Oatmeal cookies. On celebrity chef Jamie Oliver's YouTube channel DrinksTube, you can can find the perfect recipe to wind down your party. Coffee expert Mike Cooper shows how to make a warm cup of traditional Irish coffee.